LiveWatch is a security system developed to combine customizability and technological advancement at an affordable rate. This gives consumers the best-tailored plans to suit their particular home security needs without yielding on their budget. With an abundance of equipment to pick and choose from, LiveWatch allows consumers to get the most up to date security without paying as much as they would with many competitors. LiveWatch offers 24/7 monitoring by home security professionals. Their security system is extremely easy to activate, and they offer a secure connection to nearby cell towers that allows customers to stay connected, no matter what happens to their home. Their system is also 100% wireless, making it a very attractive for modern security-conscious clients. This means you won’t have to deal with ugly wires in your home or any drilling of holes during installation. Customers are also afforded the flexibility to choose their own security plan to start with, opting to pay a fixed amount each month and then add on features they think are necessary. Individuals can change their mind and buy new features, they will not be penalized if their needs should change. And thanks to free apps for Android, iOS and Microsoft, you have easy access and control over all your home security features. LiveWatch offers a 12-month contract with no penalties for cancellations, discounts for homeowners with qualifying credit, Crash-and-Smash Protections, and a 1-year guarantee. 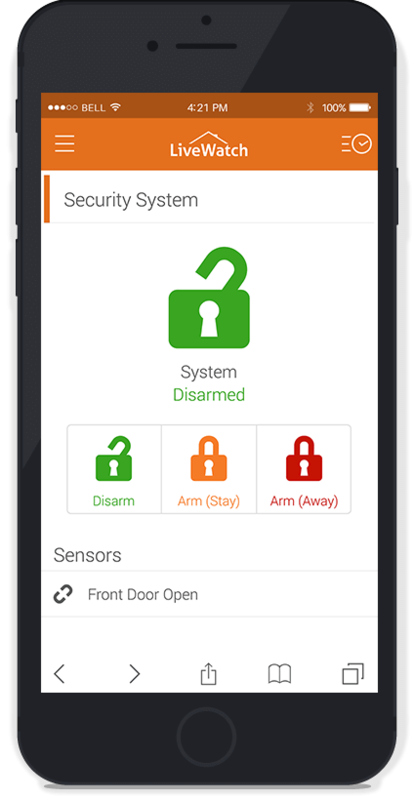 The LiveWatch Plug&Protect home security system has a variety of automation features, making it one of the best choices if the full benefit of a smart house is what you desire. These home automation functions can be surprisingly simple, no matter what level of technology you're comfortable with using. At the stroke of a button, you can lock your doors, control your thermostat, or switch on your light from your smartphone any time of day, anywhere in the country. The best part about home automation is the benefit of energy efficiency. Having full control of your home allows you to decide when you use power and when not to. This means that you can save on electricity usage, heating and cooling costs and more by incorporating Z-wave technology to modernize your home. With 24/7 professional support, LiveWatch makes it easy to turn your house into a convenient and secure smart home. Typical security monitoring contracts require that you sign for 3-years. LiveWatch, on the other hand, does not require that you commit for a lengthy period. Instead, they only require a 1-year contract. After the year expires, you get to choose if you want to continue with your current setup or not. However, the company allows you to terminate your contract when it no longer suits you without having to pay any cancellation penalties. You are also entitled to return the system to the company within the first year if it is not what you wanted and so long as the equipment is in good condition, you may be eligible for a full refund. After a year has passed, you even have the option to cancel monitoring and just self-monitor with the equipment you already bought. The equipment is yours, regardless of whether you move houses or to another company. LiveWatch also offers a 2-year warranty on their equipment, in case something happens to them. You have the option to self-monitor once you buy the equipment, but LiveWatch offers reliable professional monitoring as well. Self-monitoring only works as an alarm, whereas professional monitoring gives the option of alerting authorities in the area (and you) about potential break-ins. They do this through mobile alerts (in addition to calling 911). 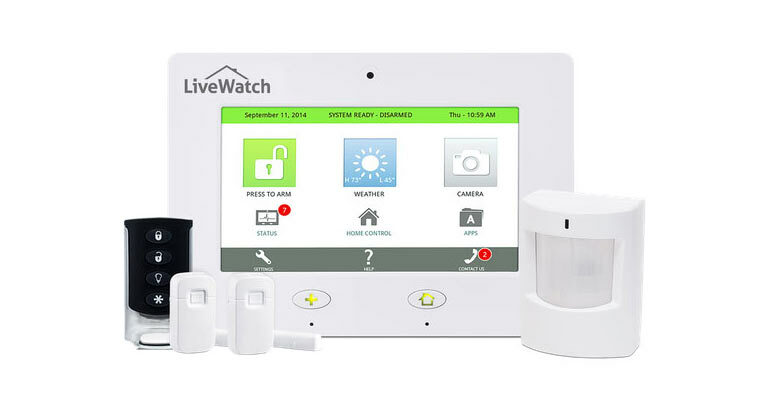 LiveWatch offers many Z-wave options that customers can choose from. These include thermostats that can be controlled from a distance, door locks, and smart home appliance switches. You can turn on kitchen/home appliances, lights in the house, and almost any other device that operates on electricity. The options are almost endless. Also, when you opt for the Total Home + Video package, you get access to full video monitoring and recording of your home. Why Choose a LiveWatch Home Security System? LiveWatch makes a great choice for both homeowners and renters who want added protection without the need for hard-to-use systems that require complicated professional installation. They also offer additional fire, water, freeze, and carbon monoxide monitoring. You can select the features you want without having to pay for features you don't need. 24/7 comprehensive security and protection with 4 affordable plans to choose from. Cellular monitoring ensures that you have a reliable connection with monitoring stations at all times.